If the Leavenworth Lighting Festival is on your to do list, but you don’t want to hassle with the drive, you can book a trip there through Goldstar right now for half off. Tickets are currently selling for $100 (plus $13 service fee). Its a $200 value, so although its a splurge, it will help you save a bunch if this is something you have wanted to do. This sounds like a magical Winter trip, that includes the trip over to Leavenworth and a sleigh ride. It could be a really fun trip to talk some friends into doing with you, and start your own special holiday tradition. 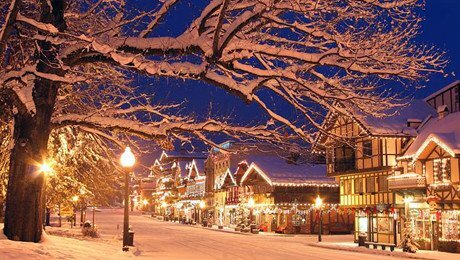 Leavenworth is really beautiful that time of the year, and it will be a trip to remember. If it is something your interested in, you may want to plan for it now. This is a popular event this time of the year, and half of the current dates available have already started to sell out, so check it out soon if it is something you are interested in. Please note: When there is not enough snow for the sleigh, wagons are used instead. If you’re searching for a perfectly picturesque and authentic Christmastime experience, congratulations — you’ve just hit the jackpot. This journey begins at 7:00am, where you will enjoy complimentary breakfast snacks as you’re ferried through the gorgeous Cascade Mountains to Red Tail Farm. There, you’ll snuggle up under warm wool blankets as a winter wonderland unfolds before your very eyes in a custom-built sleigh pulled by Belgian and Suffolk Draft horses, as it carries you through woods, trails, fields and snow-covered canyons. 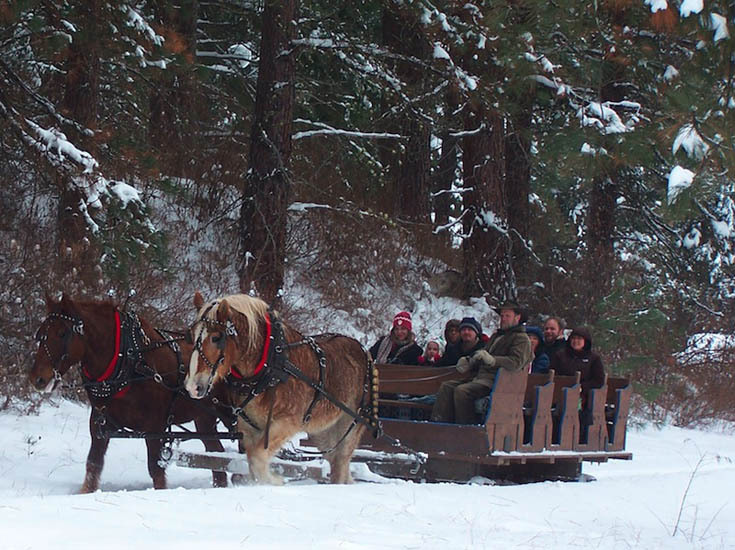 At the ride’s conclusion, you can warm yourself by the fire, enjoy a hot cup of cocoa and pose for pictures with the horses, and then it’s off to the nearby town of Leavenworth. In this quaint, old-world town, you’re free to browse, shop and enjoy live outdoor entertainment and authentic German food purchased at street stands and local eateries. At dusk, the town promenade becomes home to the Christmas Lights ceremony (on Saturdays and Sundays only), as hundreds of thousands of twinkling lights come alive in a magical moment. Then just relax on your comfortable journey home and treasure the memories made over the course of your 13-hour Christmas expedition. 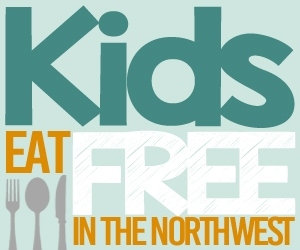 Do you have a post with a summary of family holiday activities in the Seattle area? We are planning a trip over but would like to plan it around a specific event if there is one that is especially fun for young children. Thanks for the heads up on Leavenworth, it is a fun little get away to see the snow if you are from Western Washington! Hi Rachelle – We don’t have the list of events/festivals up yet for the Christmas season (we do have the fall festival events list if you’re interested in that). 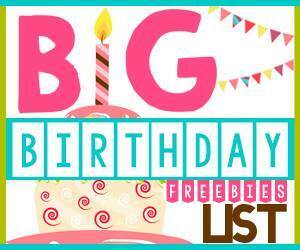 But here is the link to last year’s list & they should be close to the same dates for most of these events – if you click thru the links, they will have the updated dates: https://www.thriftynorthwestmom.com/pacific-northwest-christmas-events-tree-farms-bazaars/ . We will have the full list for you, though, at the beginning of November. You can get the schedule on Christmas Lighting Festival in Leavenworth at https://www.AccidentalBavarian.com/ChristmasLighting.php as soon as it is made available in a couple weeks. We currently have the 2011 schedule up so you can see the kinds of things going on. I hope they have more snow this year! Last year was just a dusting and they even had to bring in snow from surrounding areas for the ice festival and snow creations.